I only have five more weeks to go before summer vacation and I am so excited. At last, I will have more time for blogging and my other online activities. I am also planning to have a major reorganization of our furniture and other knick knacks. Since I will be spending more time with my computer, I am considering having new office furniture. Currently, I am experiencing back pains and wrist pains from making worksheets everyday. I need a new office chair with arm rests and a more comfortable cushion. I will also be needing a space saving desk with more compartments to let me store our documents and other important paperwork. Other than these activities, I am also excited in bringing Ralph to his summer Taekwondo and music lessons. We also have out of town activities lined up already. So, how about you? Are you as excited as me? This blog is PR-friendly. I accept product reviews, press releases, and sponsored posts. Hello, I'm Mauie! 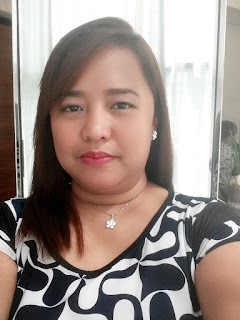 I'm a wife and a mom living in Rizal, Philippines. Aside from writing, I also maintain an online shop and serve full-time in the Media Ministry of The Feast Rizal. Thank you for visiting my site!